The Male Choir of Cantorial Art Academy was established in 1989 with personal support from Mikhail Gorbachev, then president of the USSR, and assistance from the Russian Jewish Community and Joint Distribution Committee, an American Jewish charity. In 1998 the choir was renamed the Hassidic Cappella and based at the Moscow Maryina Roshcha Jewish Community. Since 2012 until 2014 the choir worked under the support of The Russian Jewish Congress and The State Classical Maimonides Academy. Since 2014 the choir works under the name of The Moscow Male Jewish Capella. The choir’s singers are all professional musicians – students and teachers at Moscow Tchaikovsky State Conservatory and other leading musical institutes in the capital who have performed in the city’s most acclaimed choral groups. 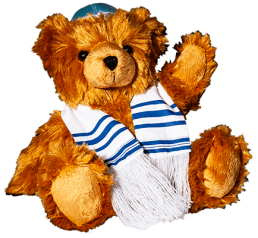 They are united by their commitment to introducing listeners to the beauty of Jewish liturgical and cantorial music – music that has been forgotten and remains unknown to even the most educated lovers of music. 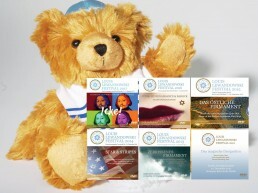 The choir’s extensive repertory includes Jewish liturgical music, songs in Yiddish and Hebrew, Russian folk songs, and classics of world music. 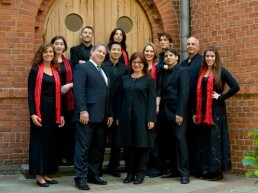 The choir is one of the few recognized professional Jewish academic musical groups in the world and the only one in Russia. Guided by the deep and ancient traditions of both Jewish and Russian professional choral singing, the choir is reviving the art of Jewish choral and vocal music, demonstrating at every performance that the riches of Jewish culture are an inalienable part of Russia’s multi-national tradition and world culture. The Moscow Male Jewish Capella has performed in countless Russian cities, in the former Soviet republics, and in 13 foreign countries. Performances are held in Jewish community venues, but also on the stages of the most prestigious concert halls in Russia and abroad. The group has performed in all three halls of the Moscow Conservatory; the Hall of Columns of the House of Trade Unions; the Academy of Music and Carl Orff Hall in Munich; the Theatron Yerushalayim in Jerusalem; Carnegie Hall and Lincoln Center in New York. Wherever they have performed, audiences and critics have responded with accolades. The choir has performed before the presidents of Russia, the USA, Poland, and Israel. Three times the group was honored to give concerts before the royal families of Denmark, Sweden and Norway on the anniversary of the Danish rescue operation of Jews during World War II. For many years the choir has had the joy to give subscription concerts with the Moscow State Philharmonic in the Grand Hall of the Moscow Conservatory. The Moscow Male Jewish Capella has performed many times with renowned Russian and foreign symphony orchestras under the direction of Arnold Katz, Mark Gorenshteyn, Yuri Bashmet, Roman Kofman and Zubin Mehta, with such acclaimed soloists as Mikhail Alexandrovich, Nehama Lifshits, Joseph Kabzon, and Joseph Malovany, the chief cantor of the Fifth Avenue Synagogue in New York. The choir has recorded 9 CDs and 8 films. Universal Music released and distributed 4 CDs and one DVD. Alexander Tsaliuk is the choir’s founder and artistic director. Alexander Tsaliuk has graduated Moscow Conservatory with honors in 1994, receiving Master’s degree in choral conducting. 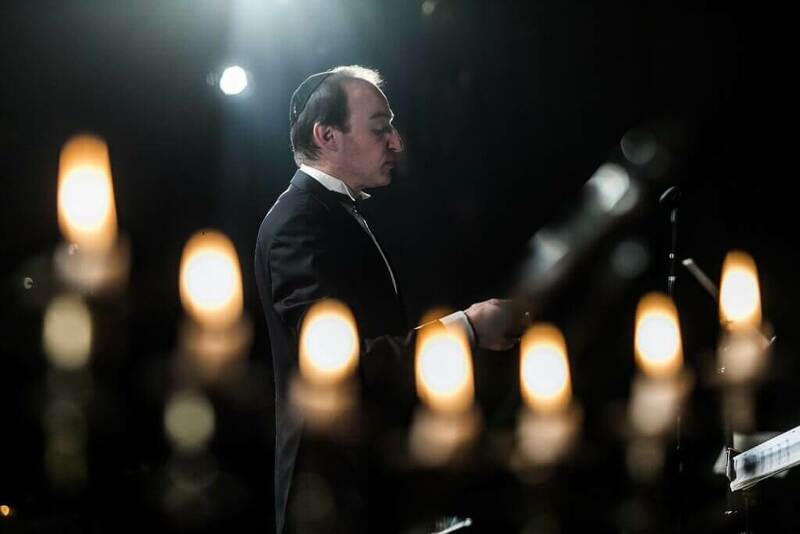 He wrote Master’s thesis on historical development of Jewish liturgical music and went on to continue training for his PhD program in choral conducting as assistant to Professor Kulikov, Director of Moscow Conservatory.At the same time, he started another PhD training – in symphonic opera conducting at the Moscow Jewish Academy, graduating both programs with honors only two years later. He has directed more than 1300 concerts and participated in countless international festivals and competitions. Adi Classical Young Choir at the New Vocal Ensemble was established in 2006 by Yishai Shteckler and Goni Bar Sela. Since 2009, it performs under the baton of its musical director, conductor Oded Shomrony. 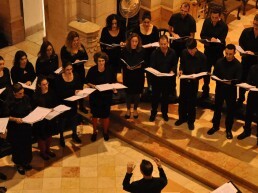 The choir performs in subscription series of Orchestras and various a cappella programs at HaMishkan LeOmanuyot HaBama, Abu Ghosh Festival, the Jerusalem Music Centre, the Tel Aviv Museum of the Arts, the Felicja Blumental Music Center and the Mormon University in Jerusalem. A new ensemble from the Moran Choirs group, the Cecila Ensemble, is comprised of eight outstanding solo vocalists from Israel. 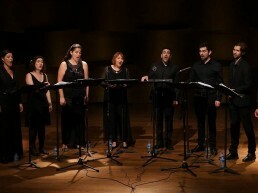 The Ensemble was founded in 2016 by Naomi Faran, conductor and musical director of the Moran Choirs, to become the professional representative Ensemble, performing original and unique musical programs, in collaboration with the best composers from Israel and around the globe. 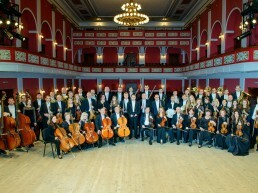 The first concert by Symphony Orchestra took place in Chernivtsi in 26 November 1992. It was organized by the Honored Artist of Ukraine Viktor Kostryzh and the Head of Chernivtsi City Council Viktor Pavliuk. Since 2000 Chief Conductor and Art Director – Josyp Sozansky. 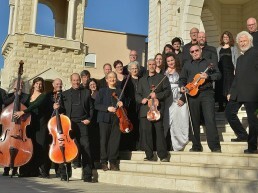 Ensemble Barocameri, established nearly six years ago, is led by conductor and musical director Avner Itai, and includes musicians, singers and instrumentalists, from all over Israel, whose desire is to make music they love, in the way they love to make music. Alle Festival DVDs (Audio / Video) des Louis Lewandowski Festivals sind bei Hentrich & Hentrich, dem Verlag für jüdische Kultur und Zeitgeschichte erschienen. Die DVDs sind Aufzeichnungen der großen Abschlusskonzerte mit alle Ensembles des jeweiligen Jahres. Sprachen: deutsch und englisch. 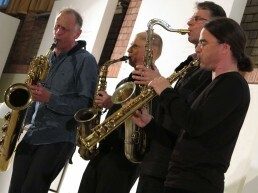 The four Berlin musicians transcend established musical genre boundaries and socially established concert habits: SAXOFONQUADRAT transforms the classical concert hall into a bubbling jazz stage and the wicked scene club into a devout church. The Synagogal Ensemble Berlin is the only choir whose singers bring the liturgy of Louis Lewandowski to life every Friday evening, Sabbath morning, and on Jewish holidays.